Oops! I thought I had posted this weeks ago, but just found it in my drafts. This year was my fist Thanksgiving away from my family. I spent the holiday with Mark’s family down in Chemung, NY. 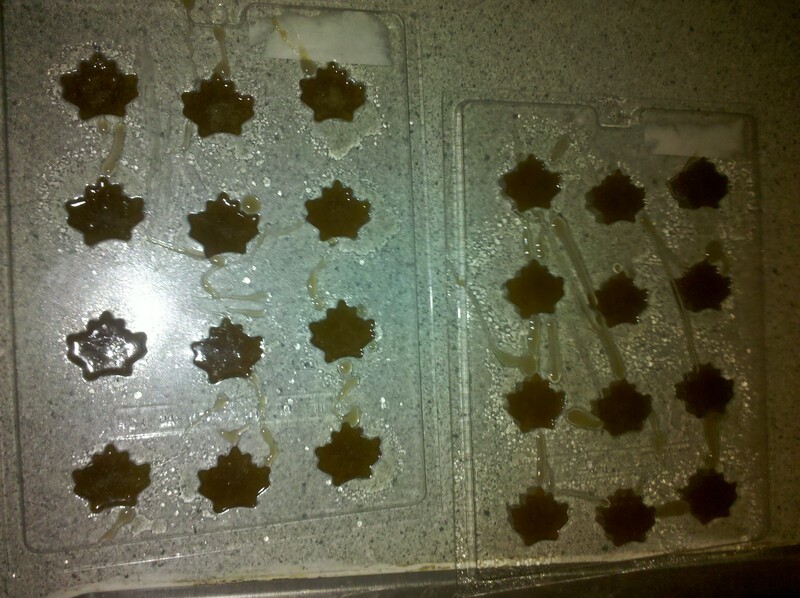 Before we left I made some maple candy to bring to his dad. The recipe calls for pure maple sugar and his dad harvests his own maple syrup so I wanted to use his to make some mapley treats. 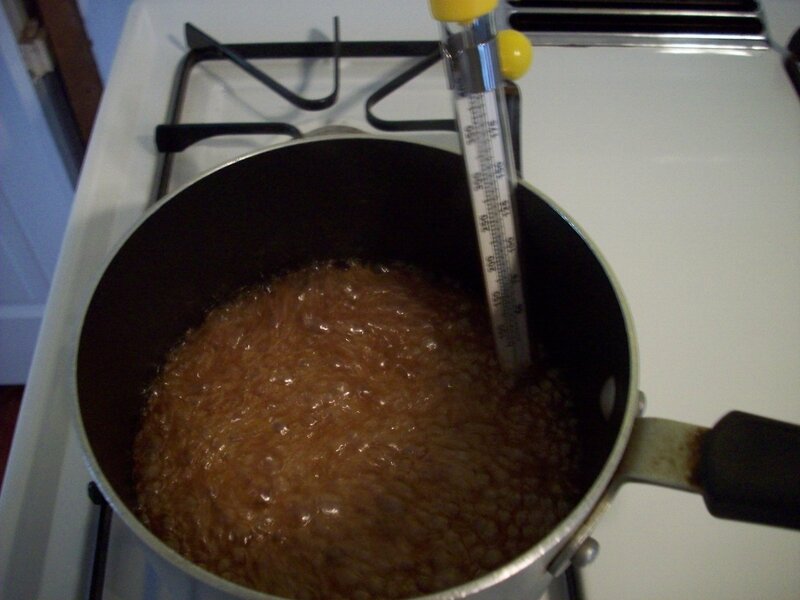 The recipe I used looked pretty easy, but it was my first time really using a candy thermometer and even though I paid close attention to the temperature it still didn’t turn out so easy. Sugar is tricky! They tasted good, but the candy started hardening up too fast and only got about 5 of the molds filled before it was too thick to spoon out. I heated it back up, but they came out looking a little frosty. Oh well, I still thought they tasted great! VERY sugary. It is pretty much like eating maple flavored sugar so it doesn’t take much to satisfy that sweet tooth. I didn’t get a chance to take a picture of them before they were all eaten up…I guess that is a good sign! This past weekend Mark had his fantasy football draft at the house. Since I’m not allowed to play this year (boys only!) I decided I’d contribute with some yummy treats! I have been researching different chocolate candies lately to get some ideas for my future endeavors and came across this one for chocolate footballs that I thought would be PERFECT for the occasion. Apparently the boys did too because they were a big hit! Take a look at the finished product! They were pretty delicious, if I do say so myself. Mark is already asking for more! 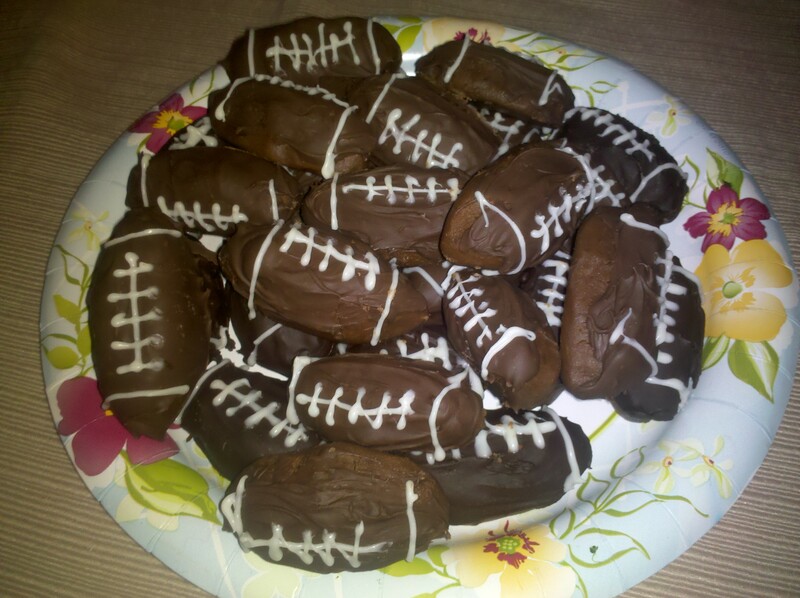 I think I’ll make them again for the superbowl, that will give me a little time to perfect them! If you want to make some yourself check out the recipe after the break!